The Wild Side, a perennial favorite among struggling readers, mesmerizes with astonishing tales of true-life adventures. One appreciative teacher notes: "I have difficulty removing the books from their hands at the end of the period!" 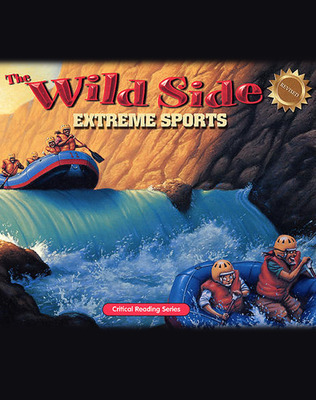 The Wild Side, a perennial favorite among struggling readers, mesmerizes with astonishing tales of true-life adventures. One appreciative teacher notes: "I have difficulty removing the books from their hands at the end of the period!" Comprehension questions reinforce literal understanding, while critical thinking questions encourage students to consider the author's purpose, make inferences, identify cause and effect, and make predictions. With all this excitement, students won't realize how well designed this series is for reinforcing state reading standards.